It doesn’t matter whether you’re a beginner without much experience when it comes to planted tanks or an expert who’s looking for green without having to worry about dying plants and CO2 installations – everyone needs hardy, easy to care for plants sometimes. They are decorative, remove nitrates from the water and provide fish with a place to hide. No CO2, no extra lights, no specific water values. Keep reading for a list of plants that will be able to survive in the hands of the worst plant-keepers and most low tech setups, all while looking just as lush as more sensitive plants! Used in aquariums throughout the world for various purposes, this undemanding, hardy plant is the most popular of all mosses available in the aquarium trade. It can provide a hiding place for tiny fry and shrimp, but is also often used for decoration. You can tie it to rocks and driftwood with fishing line or leave it floating. If you’d like to get creative, floating Java moss balls or Java moss covered coconut hides are also a possibility. You can even create a lush Java moss wall by attaching the plant to a mesh plate. Given some time to grow this can make for a pretty amazing effect! In terms of light, this moss is very undemanding. It can survive in a wide range of temperatures and water conditions. In fact, it’s one of the few aquarium plant species that can grow in (low-end) brackish water. 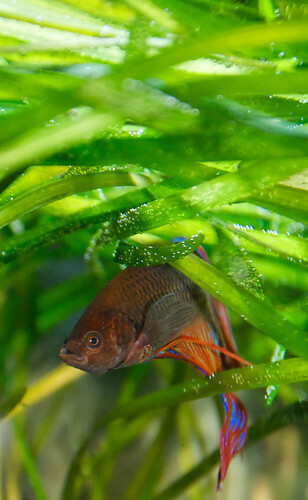 For healthy Java moss, trim it when it gets too thick to keep the lower parts healthy and green. You can buy Java moss online here. If you’re interested in other easy aquarium mosses, have a look at this article. Amano shrimp on Java moss and Java fern. Amazon sword – Echinodorus amazonicus, Echinodorus bleheri etc. Famous for the enormous size it can reach even with low lighting, Amazon sword is most suitable for bigger tanks. This plant is a root feeder, so it might require some additional root fertilizers. Simple root tabs are usually enough. When provided with everything it needs, Amazon sword can turn into a ‘monster-plant’ and reach a size of almost 2′ (60cm). This makes a great background plant or focal point in the aquarium. 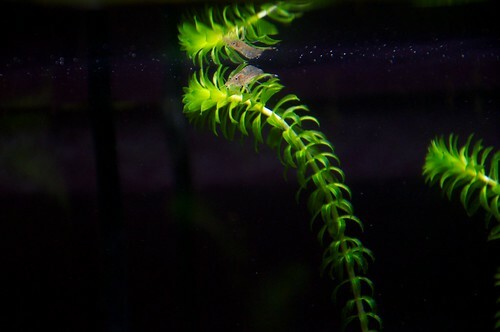 Fish will appreciate the long, sword shaped leaves for the cover they offer, while shrimp see them as a perfect foraging spot. The plants’ quick growth means that it helps keep your aquarium stable by absorbing nutrients that can be harmful to your fish. Consider allowing your Amazon sword to grow above the water surface. If you do so you might be rewarded with a the occasional flower. You can find a full Amazon sword caresheet here. Ahh, Java fern. Definitely a personal favourite. Although it can take this plant a while to get going in terms of growth, it’s unstoppable once it does! Java fern can survive in almost any type of aquarium and comes with the advantage that its hard leathery leaves are almost indestructible. Even notorious plant-eaters like goldfish will usually leave this species alone. This plant doesn’t require much light or specific water values, making it a great choice for low-tech aquariums. Even beginners won’t have trouble growing it as long as they keep in mind its special planting requirements. Java fern needs to be tied to rock or driftwood to grow properly, as it hasn’t evolved to grow in the substrate. Java fern is available in many varieties, so if you don’t like the regular one go for Windeløv-, narrow leaf-, trident- or Philippine Java fern. Each has a different growth pattern and leaf shape, meaning there’s a Java fern for every aquarium. A full Java fern caresheet can be found here. Vallisneria Vallisneria spiralis, gigantea, etc. Vallisneria is another plant with subspecies suitable for almost every aquarium. This species can easily adapt to a wide range of water and light conditions. Although it’s not the fastest grower, you will quickly see runners with small new leaves appear around the mother plant. If the runners are not removed, Vallisneria will form a dense field in a relatively short amount of time. It’s a great option if you keep fish that appreciate being provided with plenty of cover. Do keep in mind that Vallisneria may not always be herbivore-safe. Its soft leaves will be seen as a snack by some fish species. In fact, it’s even edible for us humans! I like to grow Vallisneria in tanks that contain shy fish like bettas and dwarf puffers. 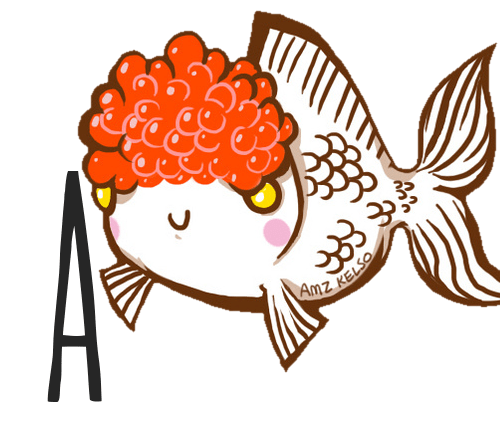 I’ve found that there’s no need to worry about never seeing your fish again. As paradoxical as it might sound, having the option to retreat to a safe place actually gives species like these the courage to come into the open more often. A full Vallisneria caresheet can be found on Aquariadise here and buy you can buy this plant online here. If you’re looking for a hardy, fast growing floating plant to provide your fish with some shade, look no further! 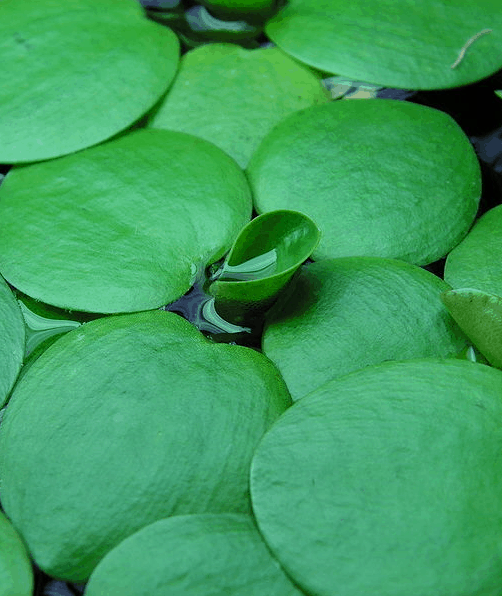 Frogbit is one of the most popular floating plants out there. Its easy care makes it the perfect choice for beginners. Frogbit grows very quickly, even in less than ideal water conditions. It helps keep your water parameters stable between maintenance rounds by absorbing nitrates and phospates, which are harmful to fish in large concentrations. Its long roots make a great place for skittish fish to hide in and help prevent stress. Do keep in mind that frogbit doesn’t handle harsh lighting or being under water for extended periods of time very well. It works better for low-light aquariums than high-tech set-ups with very strong lamps. You can find information and profiles of more easy floating plants in this article. Anubias is one of the few plants that actually prefers low lighting. This, along with the fact that even plant-eating fish seem to leave it alone, makes it a great addition to many types of aquariums. Anubias won’t appreciate being planted in the substrate and does best when tied or glued to rocks or driftwood. It looks especially good in small groups of multiple plants and the broad leaves make a great sitting or sleeping place for fish that appreciate this. Trim your Anubias often by regularly removing some leaves with a pair of scissors to keep it looking good. If you allow it to grow above the water, it may reward you with a lovely white flower as pictured to the side. If you’ve just bought a Crypt, you may be disappointed to see it seemingly dying within a few weeks. However, there is no reason to be discouraged. Cryptocoryne species are well known for their tendency to shed old leaves (‘melting’) after being moved and then quickly growing back into a larger plant. Crypts do well in low-light settings and although they grow quite slowly a huge bush can form over time in stable conditions. We keep them in our tropical living room tank and love it; they have formed a huge forest and have reached the top of the tank. 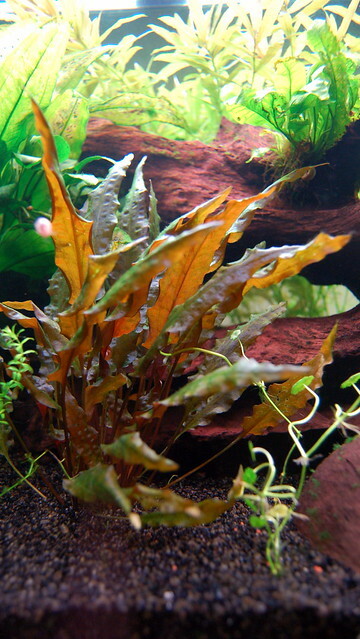 Cryptocoryne is available in many different varieties including the red form pictured to the side and a dwarf form that can be used as a carpeting plant. You can find a full Cryptocoryne caresheet here and buy Cryptocoryne online here. Another one of my personal favourites! In The Netherlands, we call it ‘water pest’, and not without reason. It grows like crazy. Anacharis can be left floating, but grows fine when planted as well – the parts bought from the store usually die off quite quickly but should be replaced by fresh, live leaves. If you own herbivorous or omnivorous fish, growing Anacharis in a separate aquarium can provide you with a steady amount of (free) healthy fish food. It looks great in planted tanks as well and can help compete with algae with its super quick growth. You can buy anacharis online here. Plants from the genus Bucephalandra seem endlessly captivating to aquarists. Their beautiful colors and different sizes really make it tempting to want to collect every species out there. Really one of the most decorative aquarium plants out there, and what do you know? It’s easy to care for, too. Bucephalandra care is pretty similar to that of Anubias and Java fern. This plant is also a rheophyte that grows on rocks and driftwood in its natural habitat in Borneo. It doesn’t need much light and has adapted to grow both submersed and emersed. There is an endless variety of Bucephalandra species out there. Many haven’t even been properly scientifically named yet and new varieties are regularly being discovered. The most popular variety in aquarium stores today seems to be ‘Wavy Green‘, which is named after the funky bends in its leaves. You can read more about Bucephalandra in its dedicated caresheet here. Aquarium plants should never be released into local lakes or rivers. Doing this can cause damage to natural habitat and native species might be outcompeted for nutrients, light and space. If you have to get rid of unwanted plants, you can sell them, destroy them, give them away or dispose of them properly. Composting is also a great option. Would you have any suggestions for easy carpet plants for a nano tank other than grass or moss? Do you know of anything (easy carpet plants) with regular leaves? I found one called micranthemum but I don’t know how easy is. Thanks! I’m not sure! And it depends entirely on your location/climate. Are there no online stores you can order from? Online shops have a much wider variety of plants available usually. Since its been awhile I don’t know rather or not you’ll reply but in a big enough tank could all these plants do well in the same tank? Root tabs are small tablets that can be placed near the roots of plants that require a little extra iron to help them grow much faster and larger. Seachem tabs have great reviews. I want to buy amazon sword …I have gravel substrate and no co2 product and no fertilizer…so can it survive? Recently I brought a tyre track eel, and intending to setup a new aquarium for it. What plants will be good for it and easy to manage? Also, can these plants work in a sand substrate or is it better to buy some that’s on a bit of wood? Hi! Wow, that must be a huuuuuge tank! In these 100+ gallon tanks I would go for larger plants like Amazon swords, large anubias varieties and vallisneria. Amazon swords and vallisneria work on a sand substrate, anubias should be tied to rock or driftwood. Can I put amazon sword in a basic sand substrate and expect to just grow / survive? Are you familiar with Limnophila aquatica or Limnophila hippuridoides? Are these easy to keep? I’ve very often had artificial versions of these and was wondering if live ones would look nicer, my artificial ones become full with gunk after awhile. No, I don’t have experience with them as I haven’t ever really kept stem plants. Limnophila aquatica is very easy and you should have no problems with it. The other plant requires a bit more light, but is still not considered super challenging! I have swords in my gravel and my sand tanks. They do ok in he gravel. They do phenomenally well in the sand. Both tanks have a few root tabs. I enjoyed the article and it gave me much food for thought. I was told by a shop keeper to try the liverwort, Monosolenium tenerum , as an easy starter for a cool water tank. It has not died, but in 6 months has grown little. Unruly, I keep it in a folded aluminum cage made from an outdoor grill, and it has only just protruded from it. This in a 15 gal. tank with lots of water movement and oxygen content. It gets some natural light and 10-12 hours of a T8 full spectrum. Anyone with success or suggestions? I’ve heard many people say that Amazon swords are easy to maintain but I personally had a very bad experience with these plants. I have been trying these plants from the past one year. They remain stable for 3 weeks and after that the leaves slowly start melting and they become transparent. New leaves never grow. I’ve planted more than 100 amazon swords in the last one year and lost all of them except one plant which is doing really well. I have no clue that why this one plant is growing crazy while all the remaining have died. I am using a good substrate, enough lighting (2 watts per gallon) and a Co2 injection as well. Am I missing something? I’ve heard that java moss does well in flowing water, making it ideal for use as a filter flow diffuser. I’m planning on getting a mesh (like you would for carpeting java moss) and putting that in front of the out-flow of my filter. Is the thing about java moss liking flowing water even true? Do you think my plan will work? Thanks! Would the amazon frogbit oxygenate the water? And would it give off any algae for my fish? I can’t tell you much about the best type of plant for your tank, but the ones listed here will all work well and are not difficult to take care of. It mostly depends on your personal preferences and what you think looks best! Have got really excited after seeing ur post. Thanks.. I want to know which of these would also not need a substrate..
Java moss, Java fern and Anubias don’t need substrate! HELP!!!!! Anubias plant dieing!!!! It was attached to driftwood when I bought it, and the leaves were already yellowing. I cut off the the yellow parts of the plant, and It seemed to be doing fine. After a snail invasion, I removed the anubias, exterminated the snails, and while exterminating the snails I kept the anubias in a stainless steel container, with its leaves out of the water, roots and rhizome under water. It still seemed fine. After the snails where removed, I trimmed off any yellow bits again and moved the plant back into the aquarium. A few days later it started yellowing again, and large brown blotches started appearing on its leaves. The water temperature currently is 20 degrees C. When I first placed the plant in, It was 16 degrees C.
Although I don’t have much personal experience with Anubias so I can’t tell you for sure, I think yours may just be recovering from the shock of being moved twice and having its leaves out of the water. Unless you really don’t see any new growth appearing at all, I think it will grow back to normal in a while. This could take a few weeks though! also, do you know if iron supplements would help it grow faster as well? The anubias attached to driftwood was very expensive, so I would be heartbroken if it died. Going plant shopping today with this list in hand for my newly purchased 55 gallon. Very excited! Thank you so much for this simple, precise list!!! So great to hear this list was helpful to you! You should be able to make a beautiful aquascape with these plants. Thank you so much for this article. My mother was a grade school teacher, and we always had aquariums when I was growing up. Now I have two little boys, and we are starting our first aquarium (10 gal). We are waiting for the water to cycle, and I’m already dreaming of second larger tank. These suggestions for plants are just what I was looking for. Thank you for the update, I love hearing how things worked out. Glad the java fern and anubias worked for you! I don’t have personal experience with water wisteria, although I know it’s supposed to be a pretty easy to grow. Curious to hear how it does with some root tabs! Those can really make a difference. Well, I didn’t know my anubias nana was going to bloom! That is so cool! The root tabs seemed to be good for my water Listeria, but it was also good for a brown algae that developed. Now it seems the Listeria is getting soft at the bottom and might melt away. Yes, anubias do bloom when grown in the right conditions! For your other plant problems you may want to ask the members on an aquascape forum, they have much more experience with this sort of thing than I do. Good luck!